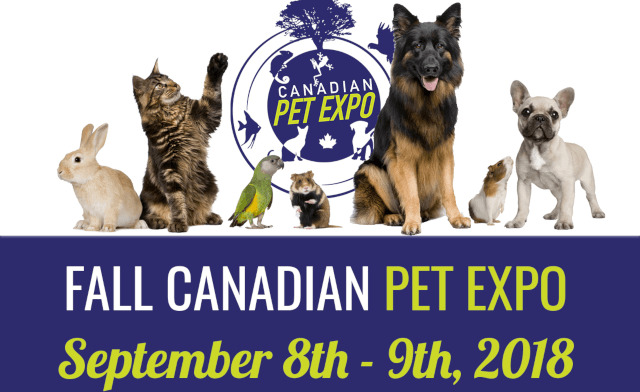 Two adult admissions to The Canadian Pet Expo on September 8-9, 2018 at the International Centre. Today's WagJag: $15 for two adult admissions to The Canadian Pet Expo on September 8-9, 2018 at the International Centre in Mississauga (a $30 value). The Canadian Pet Expo is a complete pet consumer show that is being produced, directed, promoted and directed by passionate pet people. The Canadian Pet Expo offers a diversified look at the Canadian Pet and Pet owners interests. Dogs, cats, birds, aquatics, reptiles and small exotic make up todays pet fanciers groups. There are examples of each of these segments at the Canadian Pet Expo for all to enjoy, research and learn about responsible pet ownership. The Canadian Pet Expo promotes and encourages “responsible pet ownership” with all pets. All vendors are committed to encouraging this initiative by offering their services, products and knowledge at the Canadian Pet Expo. The Canadian Pet Expo is produced by a team of pet lovers.